Climb Aboard: Become a 2019 Sponsor! Goal: Nickel Plate Express is a nonprofit founded in northern Hamilton County in 2017. Our goal is to preserve the rich railroad history of surrounding communities through educational and entertainment rail programs. Nickel Plate Express also aims to spur economic growth and increase tourism traffic to the northern portion of Hamilton County— specifically Cicero, Arcadia and Atlanta. 2018 Economic Impact: Nickel Plate Express hosted 10,000 passengers and created 23 jobs in the local community. Additionally, we spent $45,000 at local Hamilton County businesses! Thanks to the following sponsors for supporting our mission of historical preservation and economic growth! Looking to climb aboard as a sponsor? Email dzupin@nickelplateexpress.com to help preserve railroad history in Hamilton County! 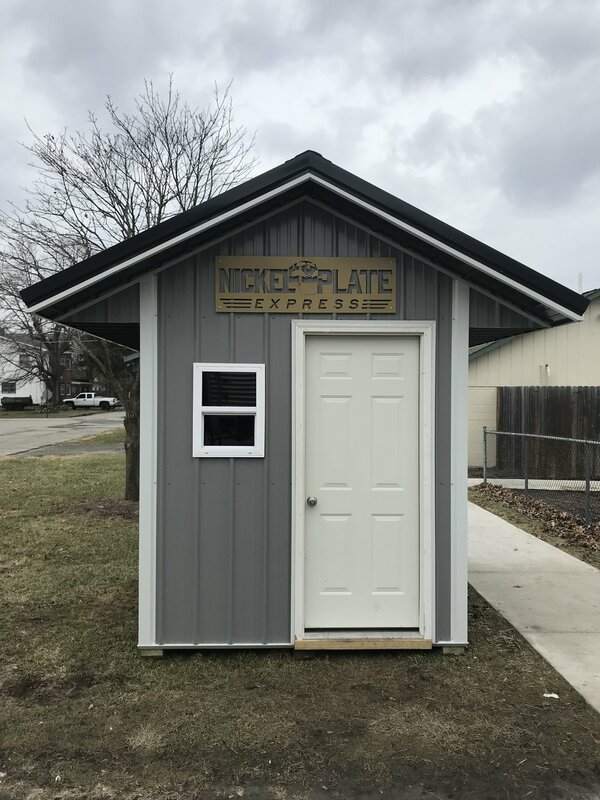 The Nickel Plate Express ticket booth in Atlanta, IN was an in-kind donation!